Volunteers advance the work and mission of Arm In Arm and create a compassionate and efficient atmosphere for the people who come to us in need of healthy food, housing stability, and training for employment readiness. Throughout the year, hundreds of people of all ages support our work by volunteering on-site, advocating in their communities, or engaging in group projects such as food or personal care product drives. 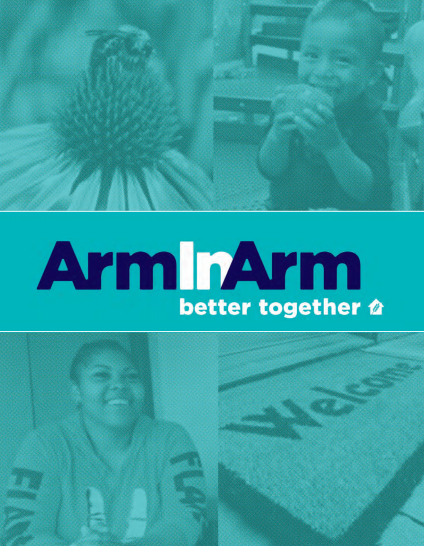 Thank you for your interest in joining this incredible group of people making an impact for Arm In Arm and their community! Sign up now to volunteer with Arm In Arm. Questions about volunteering with Arm In Arm?